We’re celebrating our Award from The Good Hotel Guide – we’re Editor’s Choice Dog-Friendly Hotel 2019! 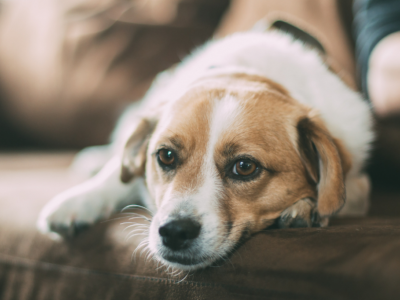 Book our ‘Lordly Dog’ package and we’ll waive our usual supplementary charge for our four-legged visitors. The Lordly Dog Offer includes overnight accommodation in a ground floor dog-friendly Manor bedroom, overnight accommodation for your dog for FREE and full English Breakfast. The Lordly Dog can enjoy Bob and Lush foods, VIP treats and a special bed to make their stay just as royal as yours! During your stay you may also wish to add a sumptuous dinner prepared by our Head Chef, Charles Smith, and his brigade. Enjoy an overnight stay with fabulous dining at Lords of the Manor in the magnificent Cotswolds. Immerse yourself in the tranquility of the countryside while taking in the sensational scenery around the hotel, with the River Eye meandering through our grounds and the ancient and unspoilt picturesque village of Upper Slaughter. A stay at our beautiful hotel will allow you to indulge in everything the Cotswolds has to offer, from timeless scenery and rolling rural countryside to the enchanting sights of picturesque villages like Chipping Campden, Broadway Tower, Stow-on-the-Wold, Bourton-on-the-Water and Bibury. 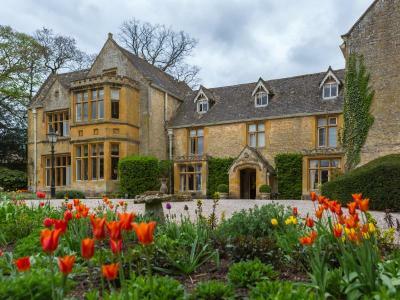 There are also countless natural attractions to enhance your stay including Batsford Arboretum, Cotswold Farm Park, Sudeley Castle, Cotswold Wildlife Park & Gardens and many more! Our Spring in the Cotswolds offer includes £45 per person to spend on our à la carte dinner menu The Dining Room, two tickets to Batsford Arboretum, check out at 12 noon and full English breakfast.